Loyola University Chicago law student Grant Bosnich is among a group of student volunteers leading a campaign on Loyola’s campuses to register students to vote this fall. 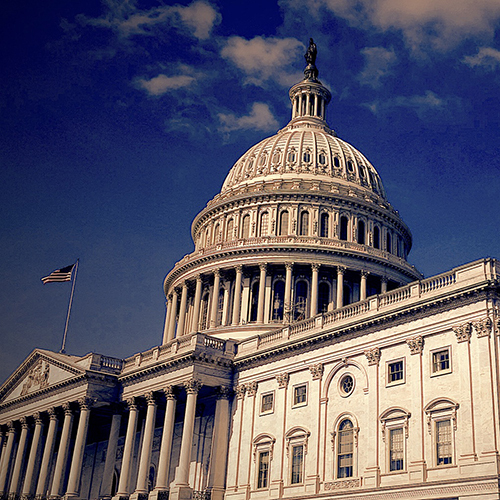 Taking on a leadership role in the democratic process might seem natural for a future lawyer, but Bosnich’s motivation comes from an unexpected source: his own failure to vote in the 2016 election. 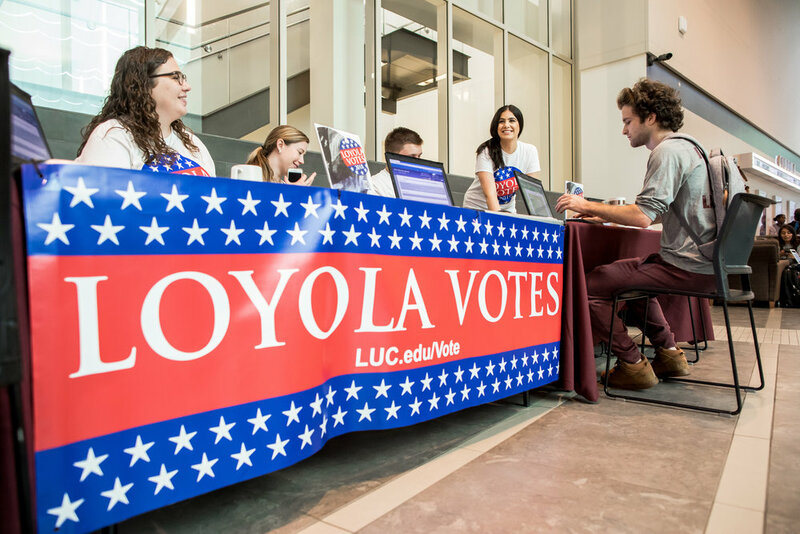 Last spring, Bosnich joined in an effort led by the Loyola Law Democrats to promote voter information and registration on campus. Then, he jumped in to the university-wide campaign to register students to vote in advance of the 2018 mid-term election. The fact that Loyola as an institution has committed itself to promoting civic engagement among the student body has only further inspired Bosnich to get involved. It is an important message at a time when the country is facing sharp partisan divides, but the commitment to civic engagement is nothing new for Loyola. 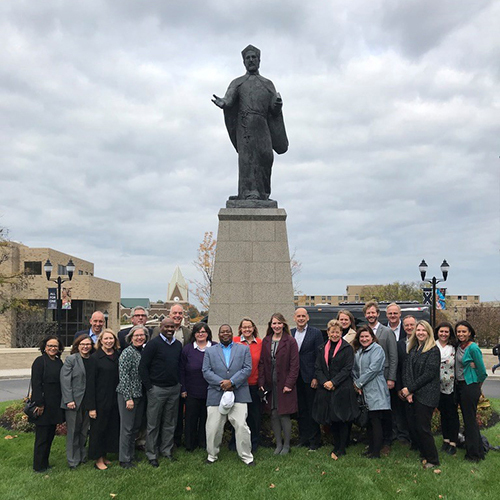 Encouraging students to be active in the political process stems from the University’s Jesuit, Catholic mission and its commitment to social justice. Loyola promotes these values in the classroom and through service in the wider community, but it also aims to teach students that they have a voice to speak on the issues that matter to them at the ballot box. This type of participation is even more important today, at a time when many students feel like institutions are failing them. These student actions embody a commitment on the part of Loyola that extends beyond simply registering to vote. Loyola students are participating in the democratic process at local, state and national levels—and not just in election years—in the name of social justice. When Illinois state funding for the Monetary Award Program (MAP) was in jeopardy, students rallied in support of the program, which helps low-income students afford tuition at Illinois colleges and universities through grants. Loyola students have also mobilized in support of the DREAM Act, advocating for the rights of undocumented students after the Deferred Action for Childhood Arrivals (DACA) program was rescinded. More than 1,500 students sent letters in support of DACA recipients to Senator Tammy Duckworth (D-IL), to ask for her support in passage of the bipartisan DREAM Act, which would provide a pathway to citizenship for current DACA recipients. While the University, alongside the Association of Jesuit Colleges and Universities and the U.S. Conference of Catholic Bishops, officially supported the DREAM Act, members of the Loyola community were encouraged to contact their congressional representatives no matter which side of the debate they were on. But the first step for students is taking the time to register. 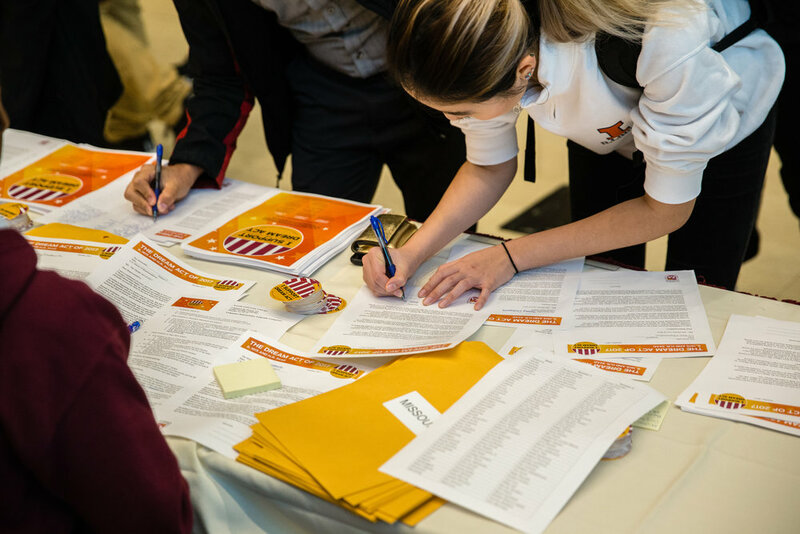 Loyola has tried to make the process easier for incoming freshmen, by giving them an opportunity to register during Welcome Week events this fall, and through open voter registration sessions on campus as part of National Voter Registration Day on September 25. As a result of these events, nearly 800 students have either registered to vote, requested an absentee ballot, or updated their addresses. Organizers also estimate that approximately 600 of the people they interacted with were already registered, like first-year student Stephanie Dehoorne, who voted in the primaries in her home state of Michigan and requested her absentee ballot at Loyola’s registration drive.